Enjoy a fabulous day aboard. The surrounding area of Chania bay is suitable for private speedboat adventures to explore West Crete from the sea. The view of Chania old harbor and the coastline of the town from the sea provides a different point of view of the city, while the stories of our professional skipper will help understand a lot about Cretan culture. The secret bay's, the lovely secluded beaches with pebbles and deep crystal blue waters will help to relax and enjoy your swimming morning or evening. 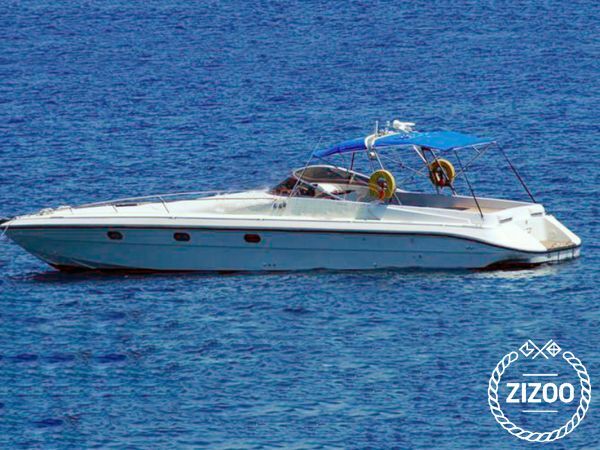 Take your family and friends on a private Skippered speedboat charter to visit the secluded bays with crystal clear waters. Let our skipper to create a special private half day or (4 hours) or sunset speedboat tour for you, your family and friends. Using our 12,80m skippered speedboat charter service, you will enjoy a hassle free day (no fighting for moorings) and the benefits of local knowledge from fully qualified skippers who 'work' for Safari Adventures every day. We start our cruise from Chania Old harbor heading towards Tampakaria, an area with a small fish port and famous for the tanneries from the mid-19th century where the architecture views are breathtaking.